Effective responsible tourism values lie at the core of The Eco-ist. We see our tours as a vehicle with which to create and maintain a sustainable balance between local needs and traveller requirements. The focus of our tours is often on special sites, chosen because of biodiversity or other unique qualities. It is therefore important for us to be certain that the activities, natural places, places of accommodation, transport providers, etc. adhere to responsible tourism guidelines thereby ensuring that the impact we have in those areas is minimised whilst ensuring the greatest guest experience possible. By booking a tour through us you either contribute directly or indirectly towards worthwhile ecological, economical and social causes. Ecological - the conservation of the unique natural habitats of our region, especially the smaller private nature reserves. Economical - the growth of businesses in the local communities where you travel to. Social – the support of local communities through trustworthy programmes & focusing on cultural highlights. 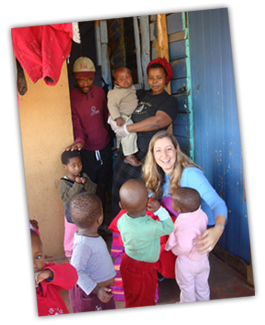 Through the activities you take part in, you get the opportunity to interact and enjoy true South African experiences. We take our clients to local festivals when they coincide with a holiday. During our walks we stay on well marked paths and we always take our litter home with us. Our vision of low impact sustainable tourism is achieved primarily by keeping group numbers small. In small groups we are able to see and do things that are simply not practical with large numbers. We are thus able to contribute to the smaller community economies since we are able to utilise small accommodations, small local shops and eateries. If we have bigger groups we aim to adapt the itinerary in such a way that smaller business will still be supported. Our team of specialist tour guides and local experts will ensure that you have an authentic experience. The guides have wide experience and knowledge of cultural traditions & environmental issues and an ability to interpret the places visited. We work in partnership with local businesses & accommodation. Guests have an opportunity to visit small local businesses and we encourage clients to buy home-made products such as dried fruit, jams, honey, nuts and wines from the Biodiversity and Wine Estates along the way. As we often operate in coastal areas, we support the South African Sustainable Seafood Initiative by educating guests on buying ‘green’ seafood products. South Africa is also a water scarce country and guests are also educated on this as part of the tour. Printed our business cards with a Carbon Neutral company. They always use vegetable based inks when litho printing business cards, and their cards are always printed on a 350gsm Magno matt which is a sustainably farmed paper. Replaced all our existing incandescent light bulbs with compact fluorescent bulbs – and we dispose of them safely (they contain a very small amount of the toxic element mercury) at Woolworths or Pick & Pay when they burn out. They last much longer, save up to 80% more energy and emit tons less global warming pollution. Aim to book the most fuel efficient vehicle for clients for each tour. We also provide self-drive clients with tips on driving more responsibly. Recycle tins, glass, plastic and paper. Have an almost fully indigenious and waterwise garden. Subscribe to electronic versions of newsletters in stead of printed versions. Don't take printed marketing material, but rather ask for electronic versions, or get information from websites. Buy organic and locally produced produce as far a possible. Switch off lights when vacating a room. Minimize our travel - share transport and car-pool with friends and work colleagues. Don't over-fill our electric kettle and boil only what we need. Make sure our computers, printers and other electrical appliances are also switched off when not in use. Open our curtains in the morning and close at night to control temperature. Recycle printer and toner cartridges. Set Blackle.com as our homepages – this saves some energy. Preferably use airlines with a good carbon offsetting programme. Hold video conferences instead of commuting whenever possible. Know that toilets use a lot of water for each flush. So we filled a couple of plastic bottles with water and put these in our cistern. Ince has been actively involved with the South African Tourism Services Association (SATSA), focusing on their Responsible Tourism Strategy. She also advises companies on operating in a more sustainable way. For World Responsible Tourism Day 2010 we organised a 'Greening a Library' morning at a local school - planting trees together with other volunteers from the tourism industry. Since August 2011 we have been assisting with a research project on Corporate, Social and Environmental Responsibility of small businesses in the Hospitality, Beverage and Textile industry for the French Development Agency. We support smaller companies and local guides as service providers where possible. We are involved in the Tourism Mentorship Programme - providing mentoring to new, upcoming tourism businesses. When choosing products for gift bags we put emphasis on supporting local businesses and goods. We also support the Biodiversity & Wine Initiative Estates when buying wine for our functions. Hello Ince I just wanted to thank you for the wonderful tour you made for us. I can tell you that I was very happy with everything we did. Thanks again for everything.